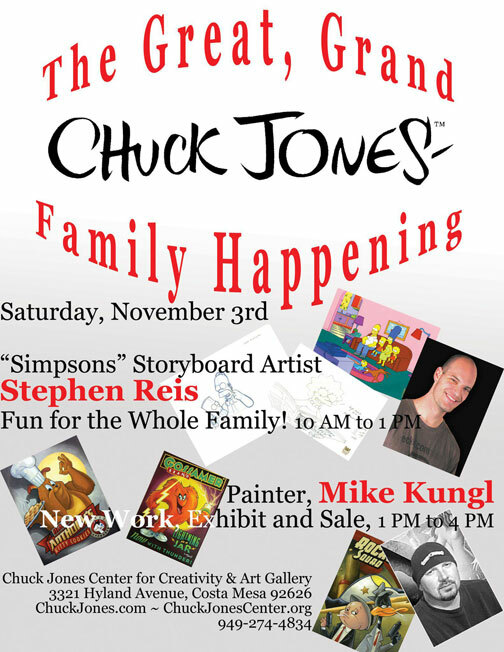 M Kungl will be at the Chuck Jones Center for Creativity on Saturday, November 3 2012. 1:00-4:00pm - fun for the entire family!!! New original paintings and sketches from his own personal collection will be on exhibit! Come by and see what is new and say hello! !